Legally, a contract is defined as a promise or a mutual agreement between two parties, wherein one party stands responsible to give away some valuable gift or service to the other, either in the future or in the present moment. These contracts are governed by the law, which provides remedies in case the contract is broken by any of the parties involved. In case of a breach of contract, the guilty party is responsible to pay for the damages caused to the injured party, which could be in terms of money or performing the due task. The common law, which usually governs the contract, forms the basis of the legal system in most English speaking nations (mainly those that were colonized by the British at some point in history). Common law has no statutory basis; judges establish common law through written opinions that are binding on future decisions of lower courts in the same jurisdiction. Civil Law in contrast is based on well-defined legal principles and also incorporates traditional rules regarding peoples’ relationships. Legally, for a contract to be considered valid, it must first be accepted, in all its terms and conditions, by both the parties involved. Besides being governed by the common law, contracts are also governed by private law, which may sometimes override the common law contract law. The private law includes the terms of the contract, agreed upon. It should include the formation of the contract, i.e., where and how it was formed and he actual terms, conditions and considerations of the contract. The contract must have a lawful purpose, for it to be considered valid by the courts. A contract is considered as an agreement between the two parties, if it can be evidently proved that the parties had each given their consent to the contract terms and conditions. In the contract, both the parties involved must have an equal amount of task to perform. 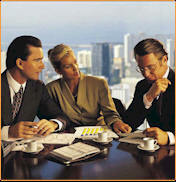 It deals with the formation of the contract, when and how it was formed. It provides rules for interpreting ambiguous terms of a contract, in case of disputes and disagreements between the concerned parties. It lays down rules for the remedies to be given in case of any breach of contract by any of the parities. Providing misleading information in order to make a party enter the contract. Physical or mental inability (such as sickness) of a party to meet the terms of the contract. Unavailability of any evidence to show the agreement of a contract by any of the parties. A gift is not legally bound as a contract. There are different types of contract and laws to protect real estate contracts. These fall under categories like implied contract (which need not be mentioned in writing), bilateral contracts (where each of the two parties makes a promise to the other), specialized contracts (contracts dealing with specific subjects such as property, employment, credit card, etc.). One such special contract is Real estate contract. Any transaction of property between a buyer and seller is governed by real estate contract law. It requires the terms of the real estate contract to be written. Also, the seller should have a proof of ownership of the property, and the buyer should not have any hidden interests in the property.